Over the years, particularly with various DIY advertising portals becoming available to the layman renting out his property, various rental scams have been created, and there now seems to be an increase once again in the prevalence of fake ads and landlords out there, warns Sunell Afrika, rentals manager at SAProperty.com. There is one that keeps arising, which one would think has "done its time" and that people would be aware of and not get caught out, but there are still people being fleeced out of sizeable deposits, by being far too trusting, she said. The typical scam is that a property is advertised to rent, possibly at a lower rental than the norm and when a potential tenant responds to the ad, in most cases via email, the scamster responds saying that there has been a huge response to the advert and that the application, with the deposit, should be submitted immediately to avoid disappointment. There have been some reports of application forms being emailed through requesting tenants' bank details - which would never be requested from a legitimate agent or landlord. The fraudster will often say he is out of town, but the keys can be collected from a third party as soon as the deposit is paid over. Usually the details and photos of the particular property have been stolen from another advert placed online, and if one insists on viewing the property first, the emailer will discontinue the conversation and then block all further contact if communication was via text message. 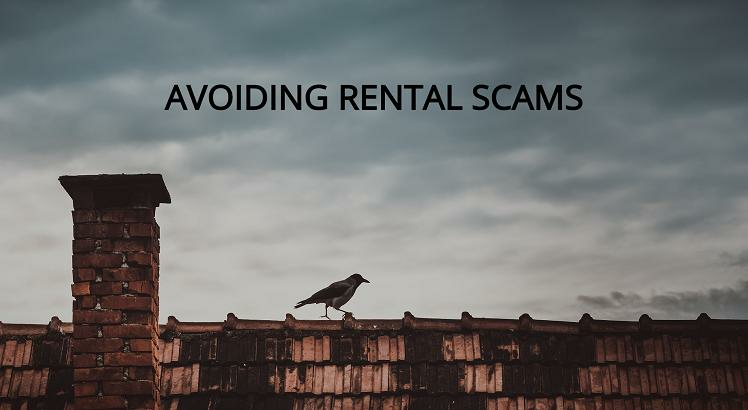 A strange scam that has now also come up, is if a tenant advertises on social media or other portals that he is looking for accommodation, a person will email or text him saying they have something suitable, providing a vague address, again saying that they are out of town but can make arrangements for the keys to be collected once a deposit has been paid. They say that they need payment to be made to a money market account or via cardless withdrawal at an ATM and if pressed for photos of a property, they will send through pictures they have taken from someone else's website. As with the others, if they are pushed for a physical meeting, they will say the property has been taken and block all further communication. Another scam is short term lets are advertised, once more with information and photos stolen from an online advert, and they will ask for a booking deposit to be paid, when the person arrives to take occupation of his holiday let, he finds it is a fictitious let. "The first important thing to remember, is that if any advert seems too good to be true (pricewise or location) it isn't and, secondly, that it is vital that you physically view a property with the owner or rental agent before agreeing to pay any money over. While it is understandable that it isn't always possible to physically view a short term let, as this would be holiday accommodation, rather book through reputable booking services or agents specialising in this field. Never give out bank details or agree to pay money via an untraceable account, and double check the adverts you respond to by viewing the address on Google Earth or Maps as a cross reference. Ultimately, it is best to deal with a rental agent, as they have to registered with the Estate Agency Affairs board and will have a Fidelity Fund Certificate as proof that they are operating legitimately," says Afrika. For further information contact Sunell Afrika on 073 002 6481 or email sunell@saproperty.com.